​​ The Nebraska Czechs of Lincoln was organized and officers elected on April 25, 1973. Founders were Jake Hamsa, the Chapter’s first President, and Vladimir Kucera from Brno, Moravia, who was teaching the Czech language at the University of Nebraska and in surrounding Czech communities. ​​ The Club was incorporated as a non-profit organization on April 24, 1977. It is one of eleven chapters that make up the Nebraska Czechs, Inc.
​ As stated in the Articles of incorporation, the purposes of the organization are "to develop and encourage interest, research and inquiry into the culture, traditions and history of the Czechoslovakian people and of Czechoslovakian immigrants to America and their descendants…..to attract public attention to the customs, culture and heritage of the Czechoslovakian people." ​ The initial meetings of the Club provided speakers, musical entertainment, movies, presentations on Czech-related subjects, playing bingo, etc. followed by music and dancing. The festival was, and continues to be, an annual event. 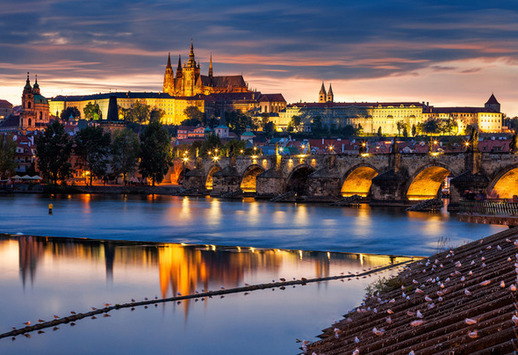 The indoor Spring Festival includes polka music, dancing, accordion jamboree, ethnic food, Czech-related demonstrations and displays, bake sales, sales of jewelry and crystal from the Czech and Slovak Republics and much more. Crowning of the Chapter Queen, Princess, and Prince also takes place at this time. ​​ Past activities included fund raisers at the State Fair with bake sales (especially kolace), pork, duck and dumpling dinners and polka fests. The Club sponsored Polkathons for the Easter Seal Society in the years 1979, 1980 and 1981. At one time a youth singing group called "Proud Czechs" existed, but because of school and other commitments, the group became inactive. Members, dressed in Czech costume (Kroj), appeared on the local Public Television Station to take calls for the video POLKA PASSION fund raiser in 2002. The Capital City Czech Choraliers, an adult Czech-singing group, organized in April 1977 under the umbrella of the Lincoln Chapter, although participation is not limited to Chapter members. The Choraliers number 20 when in full force, and are accompanied by a button accordion. a piano accordion and drums. They strive to preserve a bit of the Czech heritage and culture by performing for the public. They have traveled to Colorado, Iowa, Kansas, Michigan, Oklahoma, South Dakota, Texas and Wisconsin, as well as all across the state of Nebraska, to perform at festivals and civic celebrations. 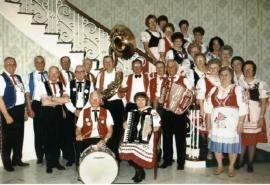 Polka Masses have also been performed by this group. In addition, the Choraliers entertain in care centers and retirement homes, schools, senior centers and service clubs throughout Lincoln and surrounding communities. This dedicated group of singers do not charge for their performances and all expenses for their travels are paid by the members or through donations. They have made several recordings. The Chapter cooperates with local Czech groups, one of which is the Komensky Club at the University of Nebraska. Our group hosted the Czechoslovak Genealogical Society International 1999 Genealogical/Cultural Conference. Also our group assisted the SVU (Czechoslovak Society of Arts and Sciences) 2001 North American Conference in our city. 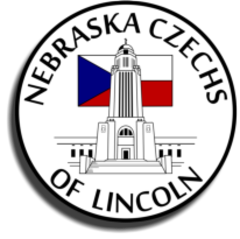 The Lincoln Chapter endorses and contributes to the Czech Language Foundation that continues maintenance of the Czech language at the University of Nebraska by providing funds for teachers’ salaries and books for students.